The pro-war network’s propaganda machine using McCarthyism to go after anti-war candidate. Unfortunately, MSNBC has become the pro-war network. Several companies, including Facebook and YouTube, have removed Jones and his radio show for violating their hate speech policies. But doing so may set a dangerous precedent, according to Ben Wizner, director of ACLU’s Speech, Privacy and Technology Project. As private institutions, these sites have the constitutional right to decide whether to host Jones. But a hate speech policy defining when an individual warrants being banned could be “misused and abused,” Wizner told HuffPost on Monday. Some have questioned whether this is a civil liberties issue as on the surface it involves private companies as opposed to the government. 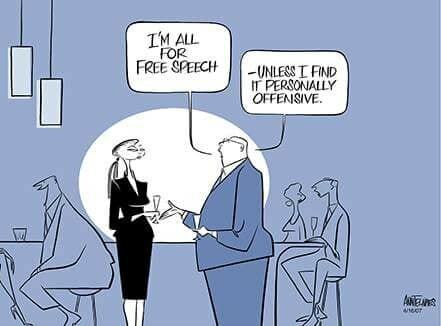 The point is not that whether this is a First Amendment issue, but that our concept of censorship and the First Amendment must be updated due to how social media is being used by government to restrict speech. Social media has become the equivalent of the old fashioned town square. 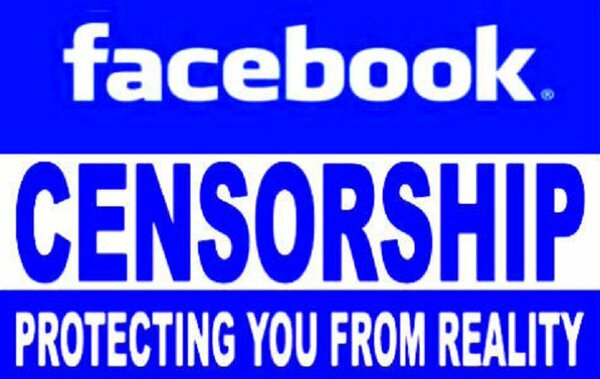 When we have a near monopoly controlling social media on the internet (which happened to be developed with taxpayer’s money), and government then instructs these companies to restrict the speech of people, it can be more dangerous than our conventional concept of censorship. Making matters worse, there is no due process when done with supposedly private companies in this manner. The lamest of counterarguments to Zuckerberg’s absolutist position is the drearily predictable one of “the First Amendment doesn’t apply to companies.” It’s the nitpicky point of the eighth-grade know-it-all. How about I quarter troops from my private army in your house, and when you cite the Third Amendment, I’ll reply with “well, they’re not government troops,” and see how you feel about it? Concepts like “trespassing” and “privacy” are not mentioned in the Constitution and did not then exist in the form we know today. We have extended the animating spirit of the Third and Fourth Amendments—respecting a person’s property and privacy—more broadly, because it’s a foundational value we want to see respected everywhere. Ditto the First Amendment: We want companies to embrace it too. Internet censorship greatly increased as a result of pressure from Democrats who blame Russian ads and “fake news” for the defeat of Hillary Clinton, as opposed to being willing to acknowledge the serious problems in nominating Clinton, and the terrible campaign she ran, which caused her defeat. Clinton herself called on Congress to regulate what she considered to be fake news after her defeat–a rather serious attack on First Amendment rights. It is easy to look the other way when someone as vile as Alex Jones is the target, but internet censorship has extended to many others on both the left and the right. If censorship is justified based upon expressing hatred, promoting violence, and spreading false information, both Donald Trump and Hillary Clinton are far more dangerous. If kooky right wing conspiracy theorist Alex Jones should be banned, the same could just as easily be said about kooky left wing conspiracy theorist Rachel Maddow, whose conspiracy theories risk starting a war with a nuclear power. Instead of falling into the trap of saying this is not a First Amendment issue as it is not the government doing the censorship (at least directly), we should be exerting pressure on both members of Congress and the social media companies to consider social media companies as common carriers rather than taking on the job of censoring speech. The alternative would be as if AT&T, when they had a monopoly, was also entrusted with determining what types of speech could be allowed over its telephone lines. Two weeks ago, we learned about a new campaign against “inauthentic” content, conducted by Facebook in consultation with Congress and the secretive think tank Atlantic Council — whose board includes an array of ex-CIA and Homeland Security officials — in the name of cracking down on alleged Russian disinformation efforts.­ As part of the bizarre alliance of Internet news distributors and quasi-government censors, the social network zapped 32 accounts and pages, including an ad for a real “No Unite the Right 2” anti-racist counter-rally in D.C. this past weekend. …After Trump’s shocking win in 2016, everyone turned to Facebook and Google to fix “fake news.” But nobody had a coherent definition of what constitutes it. …For more than half a century, we had an effective, if slow, litigation-based remedy for speech violations. The standards laid out in cases like New York Times v. Sullivan were designed to protect legitimate reporting while directly remunerating people harmed by bad speech. Sooner or later, people like Alex Jones would always crash under crippling settlements. Meanwhile, young reporters learned to steer clear of libel and defamation. Knowing exactly what we could and could not get away with empowered us to do our jobs, confident that the law had our backs. If the line of defense had not been a judge and jury but a giant transnational corporation working with the state, journalists taking on banks or tech companies or the wrong politicians would have been playing intellectual Russian roulette. In my own career, I’d have thought twice before taking on a company like Goldman Sachs. Any reporter would. Google and Facebook have long wrestled with the question of how to operate in politically repressive markets — Google launched a censored Chinese search engine in 2006, before changing its mind in 2010 — but it seems we’re seeing a kind of mass surrender on that front. Did anyone vote to make Google and Facebook monopolies. Did anyone vote to say we are going to make private actors make these decisions? There hasn’t been such a vote. People are just waking up to the fact that these guys are monopolies. People are just waking up to the fact that these guys have built these machines and amplified these kinds of voices. We only had our first major hearing in Congress last summer. This is pretty fresh, pretty new. I think if you put it to a vote, you sure as hell wouldn’t have anybody say, “We will choose these people to be our censors, we will choose these people to be our regulators.” And remember that this is a two-edged story. Any time you say that you are going to allow for this type of private action or private censorship, it is something that can be used against your friends next year, tomorrow. In a corporatist system of government, wherein there is no meaningful separation between corporate power and state power, corporate censorship isstate censorship. Because legalized bribery in the form of corporate lobbying and campaign donations has given wealthy Americans the ability to control the US government’s policy and behavior while ordinary Americans have no effective influence whatsoever, the US unquestionably has a corporatist system of government. Large, influential corporations are inseparable from the state, so their use of censorship is inseparable from state censorship. 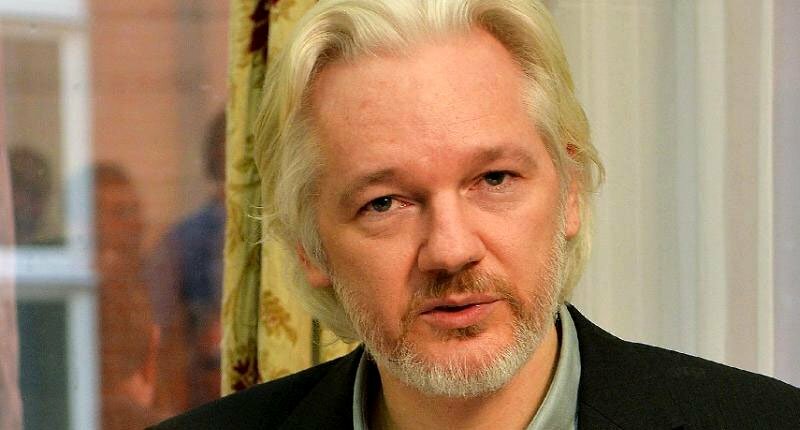 Ecuador Might Be Preparing To Turn Julian Assange Over To Authorities–Will This Lead To Prosecution By The US? The central oddity of Assange’s case – that he has been effectively imprisoned for eight years despite never having been charged with, let alone convicted of, any crime – is virtually certain to be prolonged once Ecuador hands him over to the U.K. Even under the best-case scenario, it appears highly likely that Assange will continue to be imprisoned by British authorities. The only known criminal proceeding Assange currently faces is a pending 2012 arrest warrant for “failure to surrender” – basically a minor bail violation charge that arose when he obtained asylum from Ecuador rather than complying with bail conditions by returning to court for a hearing on his attempt to resist extradition to Sweden. THE FAR MORE IMPORTANT question that will determine Assange’s future is what the U.S. Government intends to do. The Obama administration was eager to prosecute Assange and WikiLeaks for publishing hundreds of thousands of classified documents, but ultimately concluded that there was no way to do so without either also prosecuting newspapers such as the New York Times and the Guardian which published the same documents, or create precedents that would enable the criminal prosecution of media outlets in the future. But the U.S. Justice Department has never wanted to indict and prosecute anyone for the crime of publishing such material, contenting themselves instead to prosecuting the government sources who leak it. Their reluctance has been due to two reasons: first, media outlets would argue that any attempts to criminalize the mere publication of classified or stolen documents is barred by the press freedom guarantee of the First Amendment, a proposition the DOJ has never wanted to test; second, no DOJ has wanted as part of its legacy the creation of a precedent that allows the U.S. Government to criminally prosecute journalists and media outlets for reporting classified documents. But the Trump administration has made clear that they have no such concerns. Quite the contrary: last April, Trump’s then-CIA Director Mike Pompeo, now his Secretary of State, delivered a deranged, rambling, highly threatening broadside against WikiLeaks. Without citing any evidence, Pompeo decreed that WikiLeaks is “a non-state hostile intelligence service often abetted by state actors like Russia,” and thus declared: “we have to recognize that we can no longer allow Assange and his colleagues the latitude to use free speech values against us.”.. But there seems little question that, as Sessions surely knows, large numbers of U.S. journalists – along with many, perhaps most, Democrats – would actually support the Trump DOJ in prosecuting Assange for publishing documents. After all, the DNC sued WikiLeaks in April for publishing documents – a serious, obvious threat to press freedom – and few objected. And it was Democratic Senators such as Dianne Feinstein who, during the Obama years, were urging the prosecution of WikiLeaks, with the support of numerous GOP Senators. There is no doubt that, after 2016, support among both journalists and Democrats for imprisoning Assange for publishing documents would be higher than ever. I don’t have any independent knowledge of what will happen to Assange next, or whether he will indeed eventually be extradited to the United States. But I will say this. If the case brought against him is a fairly ordinary one of publishing classified material, I expect, contra Greenwald, that virtually no Democrats and absolutely no journalists will support the government’s case.¹ There would, unfortunately, probably be a few Democratic politicians who would cheer his prosecution, but even there I think (or hope, anyway) that their numbers would be small. If this case goes forward, I suppose it will be a good test of whose level of cynicism is currently best calibrated to the current mood of the American public. ¹The exceptions are likely to be nutballs like Breitbart or folks like that. Even Fox News would probably defend him against a straight-up publishing charge. I agree that serious journalists will not support prosecution, but am not so sure about the Democrats. Again, as Greenwald pointed out, the DNC has already sued WikiLeaks for publishing documents obtained by others. Again, as Greenwald points out, this is a serious, obvious treat to press freedom. It is indeed too much to say that Kucinich begot Sanders or Trump. 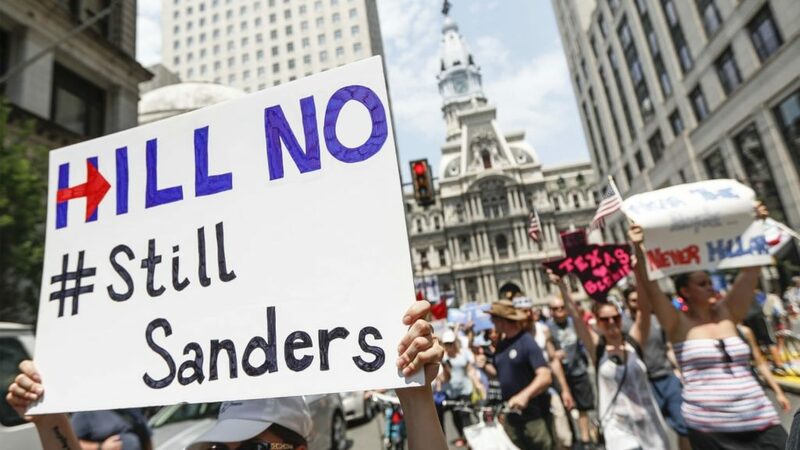 Sanders himself was advocating for progressive causes for decades before he picked up 1,900 delegates to Hillary Clinton’s 2,800 in the 2016 primaries — far outstripping Kucinich’s total in 2004. Moreover, Kucinich himself has always had limitations as a politician, and in his upcoming race, he may well lose the nomination to Richard Cordray, who is supported by huge swaths of the Democratic establishment. When it’s his turn to speak, Kucinich takes the microphone and walks to the front of the stage like a tent-revival crusader. He’s dressed in skinny jeans, wingtip boots with thick treads, jacket and tie. His default facial expression is delight, and he wears it now as he prepares to sketch a two-minute fable of how Ohio, and America, got here. “The Democratic Party lost its soul when they made book with corporate America and started taking corporate America’s money, and it blurred the differences between the two parties,” he says in the voice of a larger man, building in volume and pitch. “The American people caught on because the trade agreements that were made under Democratic administrations said they were going to protect jobs, the environment, workers’ rights. None of those things happened. And so all across this state people got used to the idea that the Democrats would say one thing and do another and wouldn’t deliver. And that opened the door for the candidate who won in 2016.” Trump took Ohio by 8 points. “I can be the person who can bring those people who voted for Donald Trump back into the party,” he declares. …When I asked him about his gig as a Fox News contributor, which ended when he started running for governor, he said he’ll use any channel to reach people. He pointed to stands he has taken in his gubernatorial campaign on guns, health care, education, energy and the environment that would be anathema to Trump. “I find myself disagreeing with the president on most everything,” he said. But he told me he can’t help sharing Trump’s wariness toward America’s secret agencies. 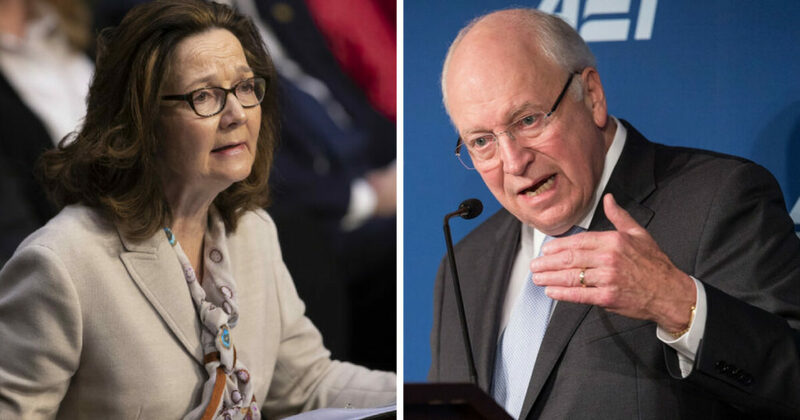 He cited the discredited evidence used to justify the invasion of Iraq as another example of intelligence sources shaping policy in dubious ways. And he described his own strange personal brush with alleged wiretapping: In 2015, reporters for the Washington Times played for Kucinich a recording of a telephone conversation he had in his congressional office four years earlier with Saif Gaddafi, son of Libyan dictator Moammar Gaddafi. The son was reaching out to Kucinich because he was a leading American voice against the intervention in Libya. The Times reporters did not reveal from whom they got the recordings, which the story said were “recovered from Tripoli.” Kucinich told me the plausible source was a “U.S. or U.S.-related agency,” though he can’t prove it. Later, in early 2017, after Trump charged that Obama had wiretapped him, Fox host Bill O’Reilly invited Kucinich on the air to talk about the Libyan recordings. “If a member of Congress can have his phone tapped on a policy matter, hey, this could happen to anybody,” Kucinich told O’Reilly. 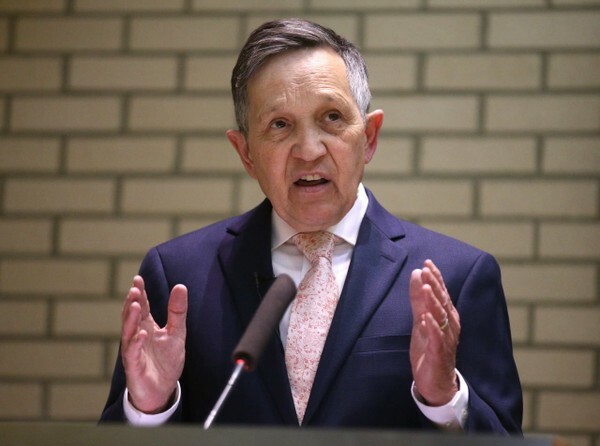 I wish Kucinich good luck, but wish that instead of running for Governor he was returning to Congress where we need more anti-war voices such as his. This is especially true with many Democrats joining with Republican neoconservatives, promoting confrontation against countries such as Syria and Russia. More on this in a follow-up post on Dennis Kucinich. 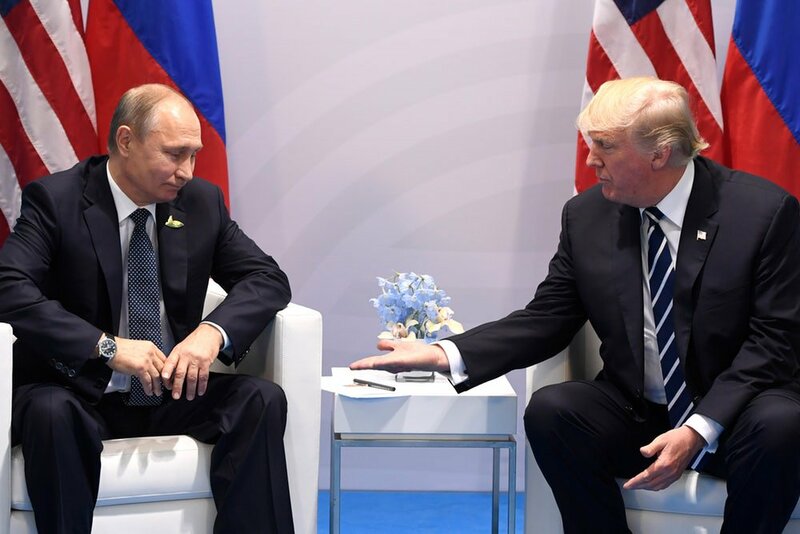 …“Russia is not working according to a master plan carefully laid-out laid out by President Vladimir Putin,” Henry Farrell, of George Washington University, argued last month in Foreign Policy. “Instead, a loose collective of Russians, with incredibly meager resources, have been working together in a disorganized way to probe American democracy for weaknesses. Instead of persuading people to vote for Donald Trump, and against Clinton, they have wanted to create chaos and paranoia—and they have succeeded in stirring confusion only because there were so many weaknesses for them to exploit in the first place.” Similar Russian attempts to sway elections in France and Germany were much less successful, Farrell notes, because they don’t suffer from he calls a “basic failure of democratic knowledge” in America. This crisis, which long predates Russian interference, stems from a polarized polity where one party actively encourages its followers to distrust news from non-partisan outlets. It’s enhanced by low voter turnout, active voter suppression, and an electoral system that is constantly manipulated by gerrymandering. The result is a citizenry that does not agree on basic facts, and many of whom distrust the system. If democratic fragility is the root problem, launching a new Cold War is not going to solve it. Rather, there has to be an active effort to strengthen potential targets, like voting systems (many of which are old and run on outdated technology that’s vulnerable to hackers). The U.S. also needs a comprehensive civics education initiative, for children and adults alike, to instruct Americans on the U.S. Constitution and teach them how to detect propaganda and discount motivated reasoning. The actual history of the Cold War belies this fantasy. While Cold War liberals like President Harry Truman did use anti-communism to promote national unity, this only laid the groundwork for Republican demagogues like Senator Joseph McCarthy. Eventually, in the 1960s, the Democrats were torn apart by internal divisions over the Vietnam War. A foreign enemy is no assurance of unity, and perfectly compatible with more polarization. Trump is the most divisive American president in at least generation. Reversing the damage he’s done to American democracy, let alone fixing the systemic flaws that predate him, is an arduous task that will require many years of political organization and education. There’s no swift solution to this crisis, and whipping up hysteria about Russia will only make it worse. There are many dangers from distortions by partisans on both sides regarding “Russiagate.” The risk of playing into the hands of hawks like Hillary Clinton and her neocon allies who see desire resuming a Cold War atmosphere with Russia, if not outright attempts at regime change, is probably the greatest danger. I have previously quoted Jackson Lears, Professor of History at Rutgers University, on how the Democratic Party’s fixation on Russiagate has led to them ignoring other issues, including the need to take a stand against the military interventionism advocated by Clinton. All of this underscores the serious dangers many have pointed to for more than a year about why all this unhinged rhetoric is so alarming. If you really believe that Russia — with some phishing links sent to Podesta and some fake Facebook ads and Twitter bots — committed an “act of war” of any kind, let alone one on par with Pearl Harbor and 9/11, then it’s inevitable that extreme retaliatory measures will be considered and likely triggered. How does one justify a mere imposition of sanctions in the face of an attack similar to Pearl Harbor or 9/11? Doesn’t it stand to reason that something much more belligerent, enduring, and destructive would be necessary? The advice in the article above for greater education of Americans is sensible, but such education should include lessons on how we were lied into military intervention including the Iraq war, the regime change in Libya orchestrated by Hillary Clinton based upon lies, and Vietnam. The lack of such knowledge by Americans increases the risk of us being lied into yet another war, this time with a nuclear power. This claim was first made months ago, with the Department of Homeland Security subsequently reporting during Congressional testimony that all that occurred was routine scanning of computer systems, with it commonplace for Russia and the United States to routinely scan each other’s computer systems. The same is true of much of “Russiagate” with it being common for both Russia and the United States to meddle in the elections of each other and other countries, with no evidence of any actions in 2016 which altered the election results. After months of investigations, there has been evidence of money laundering and obstruction of justice by Donald Trump, but no evidence of any collusion between Trump and Putin which affected the election, despite repeated claims from Democrats. For whatever it might mean, some states have also accused the Department of Homeland Security of trying to hack into their system. Glenn Greenwald discussed this story here. This was only one of multiple examples of claims regarding Russia being made by the news media and later retracted. I listed this and other examples here, and The Nation has also debunked the irresponsible media coverage of claims about Russia. Despite the claims in this story being both old news and false information, NBC and MSNBC continued to spread this false claim, which was subsequently picked up by other media outlets. As I noted earlier in the year, FAIR (Fairness and Accuracy In Reporting) has criticized the coverage of Russia by Rachel Maddow and Chris Hayes on MSNBC. 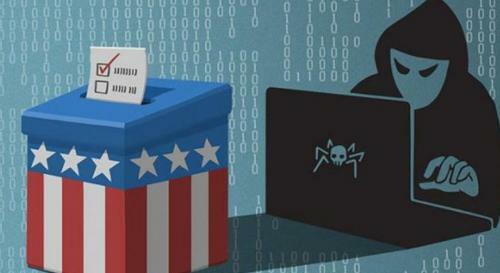 There very likely are vulnerabilities in our election systems which can be exploited. The proper response is to improve cyber-security. There is no place for the hysteria being spread by NBC and MSNBC, or for the McCarthyism and war mongering by some Democrats in response. It is dangerous to exaggerate Russian actions to place the blame for Clinton’s loss on a nuclear power such as Russia. This also leads to many Democrats failing to accept the real reasons why Hillary Clinton lost to a candidate as terrible as Donald Trump, reducing the chances that the Democrats will fix the problems which have resulted in multiple losses over the past decade. Russia is hardly led by a band of boy scouts, but there are far more serious threats to our democracy. This includes Trump’s authoritarian tendencies, Republican voter suppression, Democratic McCarthyism and rigging of the nomination system to exclude more liberal and progressive viewpoints, and even, as I discussed yesterday, Facebook censorship of alternative opinions. In the scheme of things, Russia is minor threat which has been greatly exaggerated, distracting from our more serious problems.